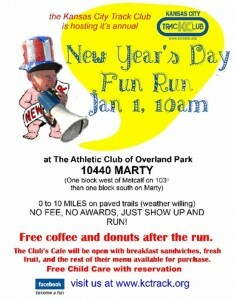 Enjoy your first run of the year with us at the KC Track Clubs Annual New Year’s Day Fun Run. 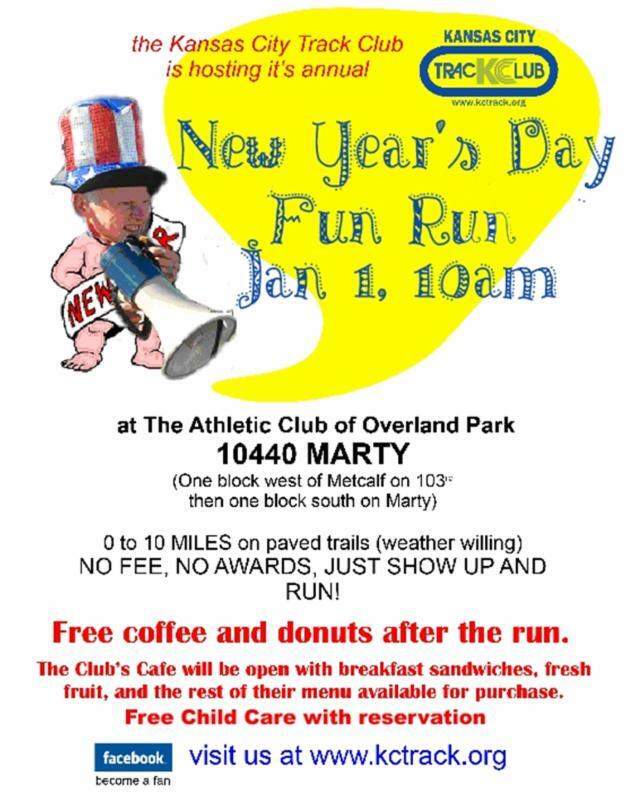 We will be taking off from The Athletic Club of Overland Park at 10440 Marty (one block west of Metcalf on 103rd then one block south on Marty). We aren’t starting until 10:00, and we are providing free child care so the entire family can join us. There are no timing chips and no PR’s to set; just a low key, enjoyable run. You can set your distance from one to ten miles on a paved out and back trail, and while you’re out there enjoying the run, we’ll be getting free coffee, donuts, and other goodies ready for you to come back too! If you’d rather have a larger breakfast, the Club’s Cafe will be open. We will also be giving away running shirts and continuing our youth clothing drive by collecting winter running apparel for children of all sizes. We’re looking forward to kicking off the new year with you! !